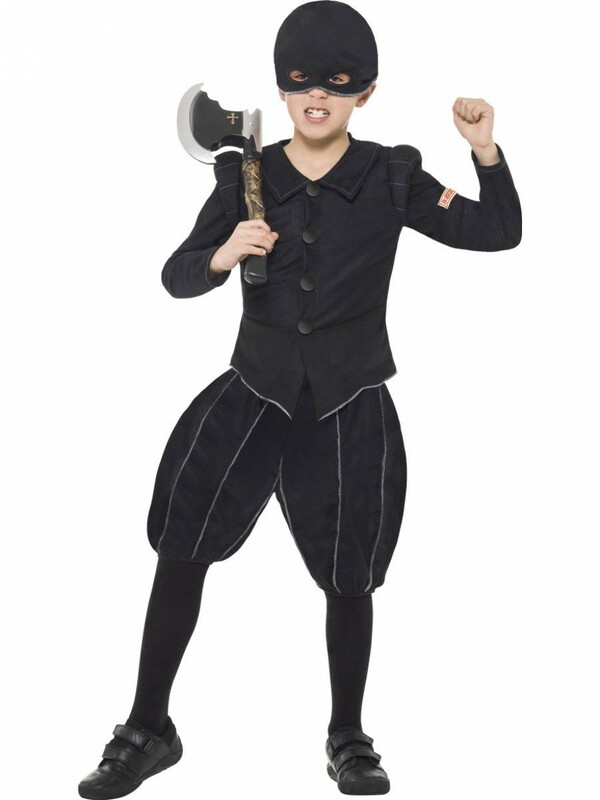 A Licenced Horrible Histories Costume in a Tudor Executioner design with Jacket, Shorts and Mask - ideal for Book Week or any dressing up occasion. This fantastic costume is part of the Official Licenced ‘Horrible Histories’ range which is ideal for Book Week, Historical themes or any fun fancy dress occasion. 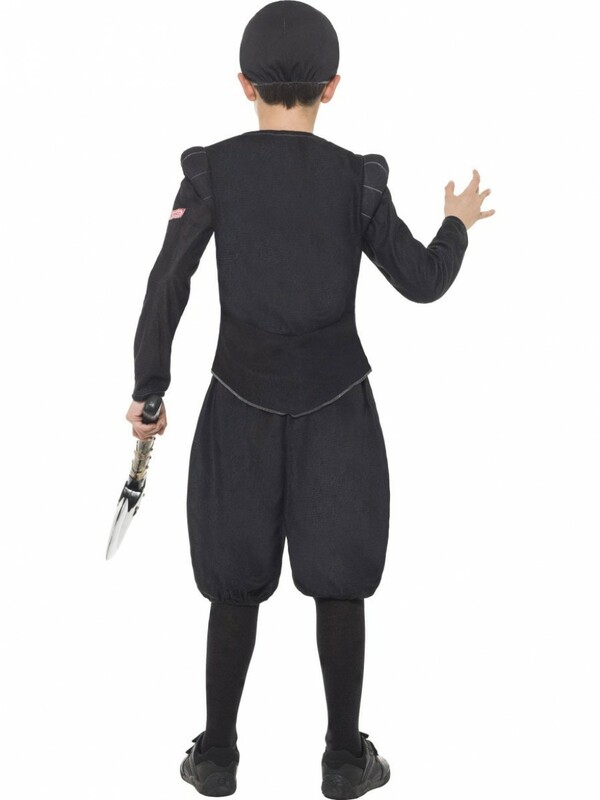 The Boys Horrible Histories Executioner Costume includes a Jacket, Shorts and Mask. The design is based on the Tudor era and creates a really stand out look. The full black jacket has a button design on the front and the official Horrible Histories logo on the arm. The coordinating shorts have a pantaloons shape to create this historical look and also have an elasticated waist for comfort. 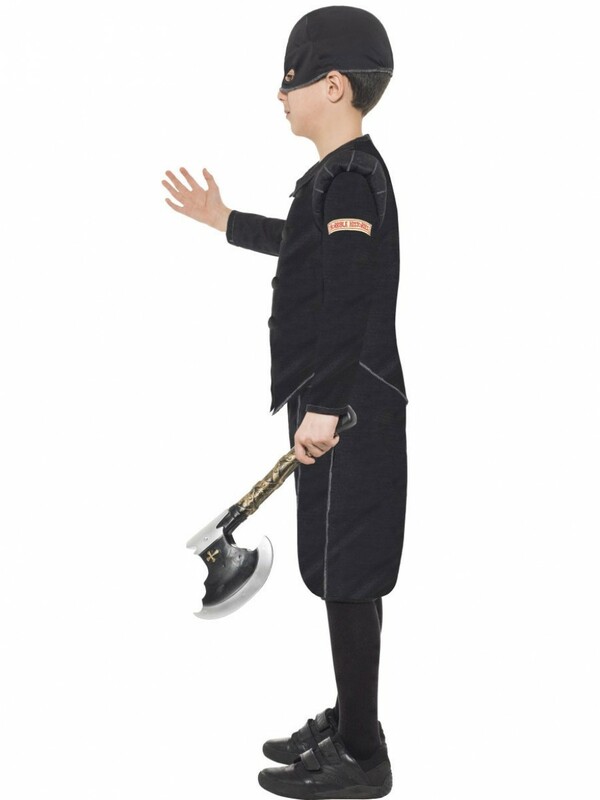 No Executioner Costume would be complete without a mask and this half face soft padded mask perfect completes this official Horrible Histories Executioner Costume.